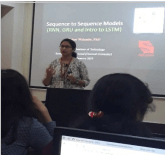 A 5-days extensive workshop on DL was arranged from 3rd Jan- 7th Jan 2019 at Symbiosis Institute of Technology. 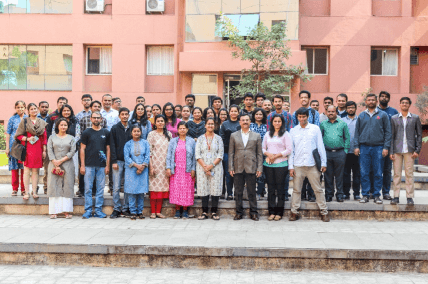 The objective of this workshop was primarily to introduce and offer the participants an opportunity to understand the mathematical basis of Deep Learning techniques. Our aim was to provide extensive exposure to hands-on coding to enable the participants to use deep learning methods to find solutions to the problem in their specific areas of interest. Our speakers include experts and researchers working in a number of applications areas including Medical Image Analysis, Genomics, Healthcare, Finance, and Robotics. A Total of 53 participants consisting of industry personnel, academicians, and students attended this workshop. To name a few the industrial participants were from leading industries in India such as Cummins India, Infosys, Cisco, Wipro, Agile FAQ. 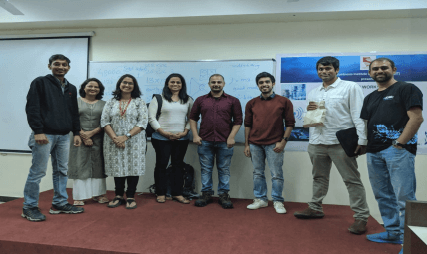 The speakers were: Dr. Raghu Santhanam, Arizona State University; Dr. Ketan Kotecha, SIT; Dr. Blwaj Gaokar, UCLA; Dr. Aniruddha Pant, Algoanalytics; Mr. Vishal Gokhale, Agile FAQs; Mr. Saurabh Deshpnade, SAS; Mr. Akshay Bahadur, Symantec; Mr. Nitin M, GE Innovations; Dr. Madhura Ingalhalikar, SCMIA; Dr. Rahee Walambe, SIT ; Mr. Adnan Ahmed, DeepTech and Mr. Narendra Patwardhan, Michigan Technological University. 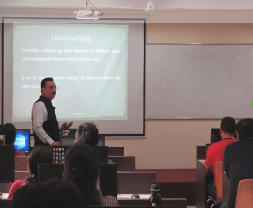 The content was evenly divided to give the participants insights into real-world industrial applications, research advances, basic mathematical and theoretical basis of algorithms and techniques and hands-on practice. The workshop was very well received and appreciated by the participants.